A freewheeling, sharp-shooting indictment of a tech-besotted culture. 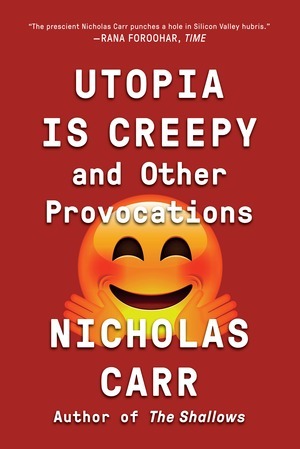 With razor wit, Nicholas Carr cuts through Silicon Valley’s unsettlingly cheery vision of the technological future to ask a hard question: Have we been seduced by a lie? 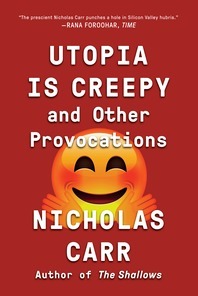 Gathering a decade’s worth of posts from his blog, Rough Type, as well as his seminal essays, Utopia Is Creepy is “Carr’s best hits for those who missed the last decade of his stream of thoughtful commentary about our love affair with technology and its effect on our relationships” (Richard Cytowic, New York Journal of Books).